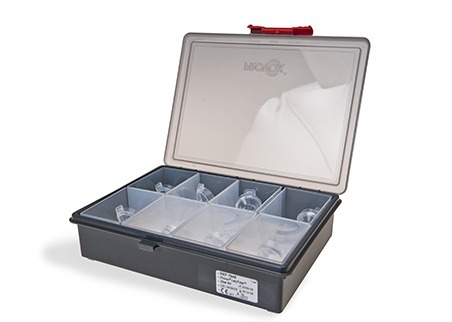 To allow for proper selection and sizing, the Provox LaryTube Sizer Kit contains sterilizable and reusable tubes for individual fitting. The products can be secured with Provox LaryClip and Provox TubeHolder. Non sterile, reusable, sterilizable (Sizer Tubes and inner box). Outer tray can be cleaned in instrument washer.